Green flared,flared,evasé sleeveless dress. 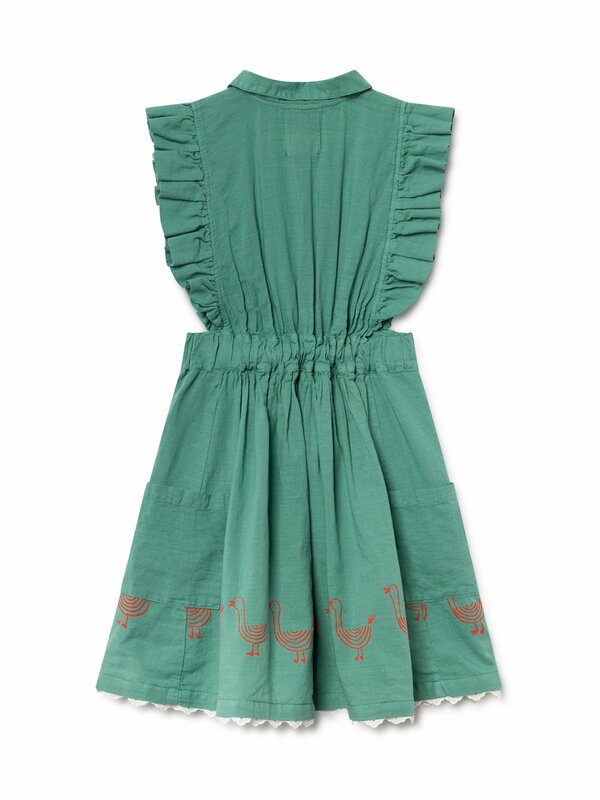 It features a row of farm geese print on the front. Made locally in Spain.